When thinking about the future of Arctic sea ice, the past can help. Clues are important as the region warms faster than anywhere else on Earth and influences weather and climatic conditions everywhere. While models of future and past sea ice coverage in the Arctic vary, a recent study in the online journal Nature Communications, published by Britain-based Nature Research, looks closely at the extent of sea ice in the region during the last interglacial period, spanning 115,000 to 130,000 years ago. 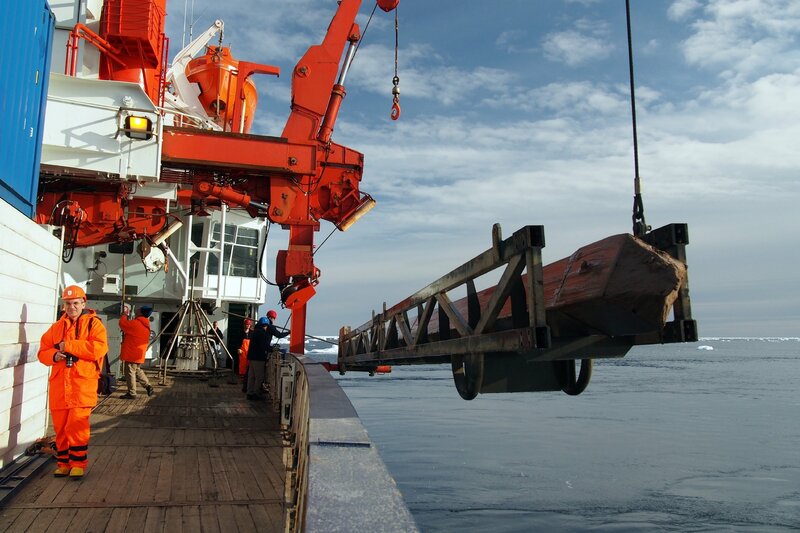 Studying biomarkers from sediment cores collected from four areas of the Arctic, researchers at the Alfred Wegener Institute in Germany found that, roughly 125,000 years ago, the central Arctic Ocean was covered by sea ice in the summer — even though air temperatures were a few degrees higher at those latitudes than they are day. Carbon dioxide concentration in the atmosphere, however, was lower than current levels, around 290 parts per million compared to today’s roughly 400 parts per million — levels the Earth hasn’t experienced since at least 400,000 years ago. These high carbon dioxide levels have already contributed to the rapid retreat of Arctic sea ice and higher temperatures in the region. Sea ice is especially important, as it is a key player in many climate feedback systems. For instance, as more sea ice melts, there is less white surface in the Arctic to reflect solar energy and keep it cool. Formerly ice-covered areas give way to open waters that reflect less solar energy and warm the Earth. “Our study shows the complexity of the processes shaping sea ice and climate change in the Arctic,” Rudiger Stein, a geologist at the Wegener Institute and lead author, wrote in an email response to questions from Alaska Dispatch News. Beyond replicating past conditions, these simulations helped researchers predict sea ice cover as the region responds to a changing climate. After running climate simulations that confirmed Arctic summer sea ice cover 125,000 years ago, they compared the results with forecasts from the Intergovernmental Panel on Climate Change. Plugging in carbon dioxide concentrations of over 500 parts per million, the researchers observed a rapid decrease in sea ice, with a nearly ice-free Arctic Ocean in the summer by 2300. If atmospheric carbon dioxide concentration continues to climb, they further projected, sea ice would melt in the winter as well. “This (study) highlights the anomalous nature of the ongoing loss of sea ice, which is at least primarily caused by human-induced warming, with high confidence,” Richard Alley, a professor at Pennsylvania State University, wrote in an email. The study did have limitations. 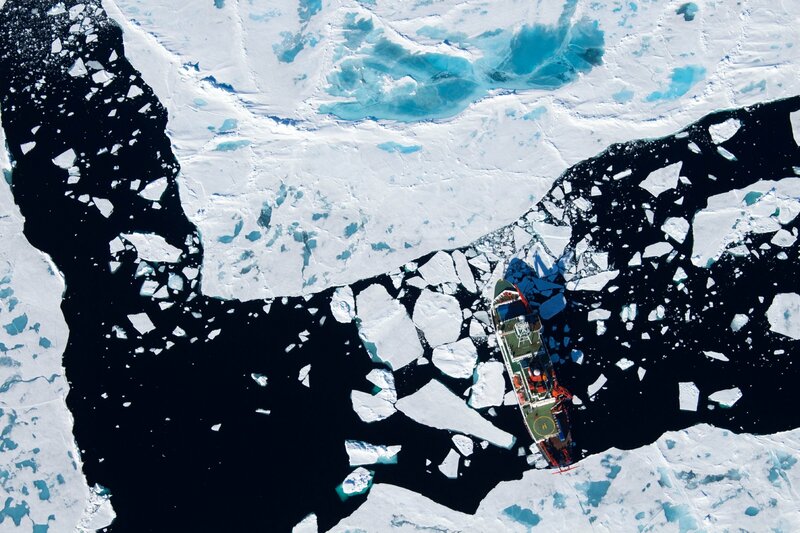 Leonid Polyak, a researcher at the Byrd Polar Research Center at Ohio State University, pointed out the small number of data points used by the team to represent the entire Arctic Ocean. “(The researchers’) conclusions make sense, but I would only use them for an outline, while the details yet need to be understood,” Polyak wrote in an email. Beyond providing more insight into past and future sea-ice coverage, the study also produced findings at odds with a 2016 article showing that, from 140,000 to 150,000 years ago, the entire ocean was covered by a thick mass of ice after glaciers in North America and Eurasia expanded into open water. Instead, the new data show that glaciers, likely extending from the continental shelf, blew air into parts of the ocean, clearing it of ice. This type of process is still observed on the Antarctic ice sheet. “Ice shelves are important in projecting what the Antarctic ice sheet might do in a warming world. 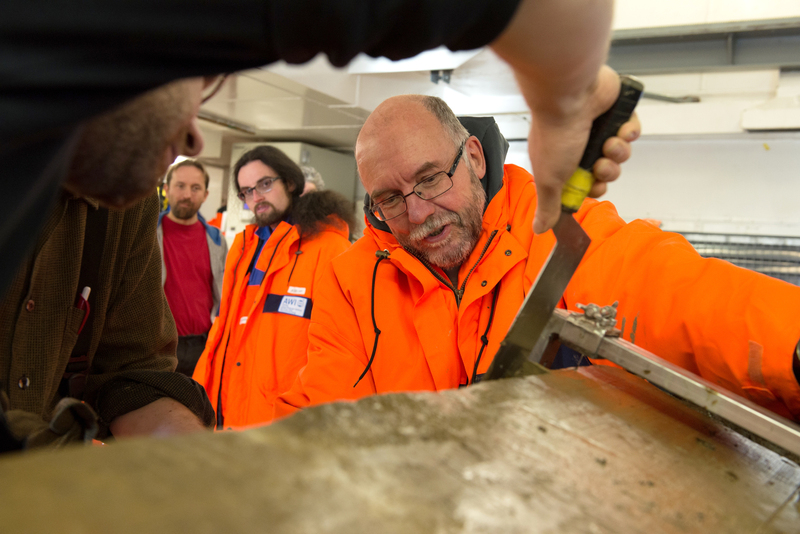 And while this Arctic ice-shelf question is not central in projecting future Antarctic behavior, it is interesting and will allow us to test our ice-sheet models,” Alley wrote. Alley said it also may be possible that there was still a large ice shelf during this period, bolstering the 2016 study, but it was only temporary or broken up in some places. Both Alley and Stein said more studies on the issue would be helpful.